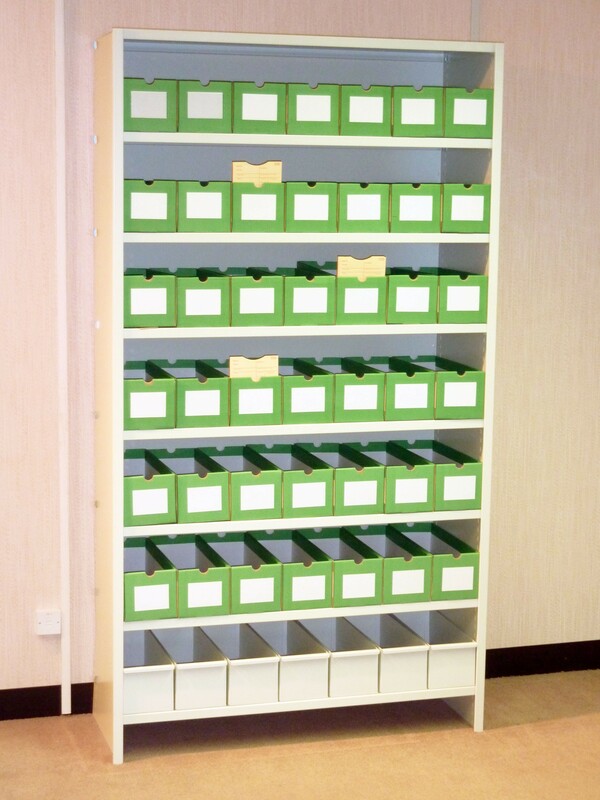 Lloyd George Open Shelving Bay Lloyd George shelving is a version of a Lloyd George storage bays. Lloyd George storage shelving comes in a “misty white”. The system includes 2x side upright panels, and 10x shelf units, as well as backs cross braced. They are supplied flat pack for ease of transport. It is easily self assembled. 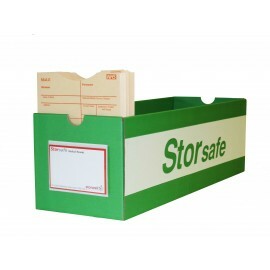 H227.5 x W120.0 x D40.0 = 72 boxes are up to 1500 patient records at maximum capacity. 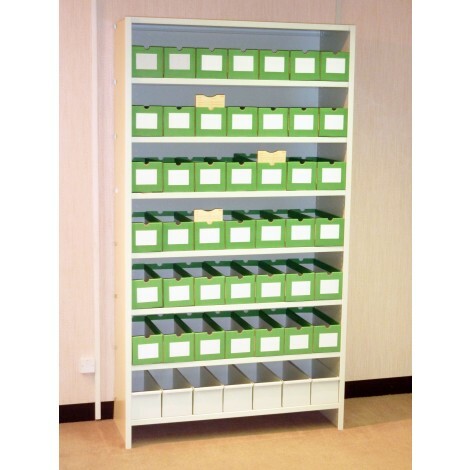 Lloyd George Open Shelving Bay Do you have a need for both high quality storage and high visibility of stored products? Do you need aerated lockers? 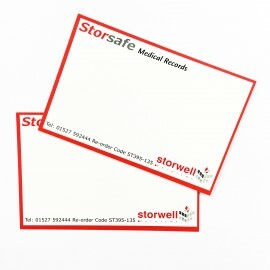 If so then Storwell Systems may have a solution for you in the form of our mesh lockers. Our mesh lockers are made from a high quality steel mesh. They are completely secure, with the option of a hasp lock, secured by a padlock (not included). Mesh lockers come in a variety of different sizes (1980 x 305 x 305, 1980 x 305 x 380, 1980 x 305 x 450, 1980 x 450 x 450) as well as having the option for different numbers of doors. Our mesh lockers can have anywhere from one to six doors. Mesh lockers are perfect for aerating the products inside and are easy to clean. 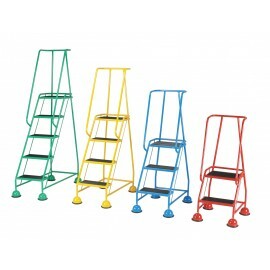 This makes them ideal for food storage of fresh ingredients, as well as sports equipment, or dirty tools. Mesh lockers are incredibly light and easy to move around. If you have any questions about our mesh lockers please feel free to give us a call. We have been experts in lockers for over thirty two years and our friendly team are always happy to take your call. 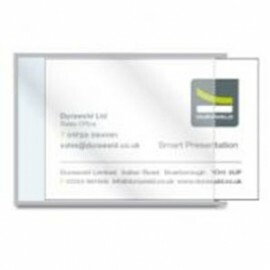 All you need to do is call us on 01527 592444 for an instant quotation or answer to your question.